“These C*cksucking Tears,” director Dan Tabersky‘s film about Bremerton’s Patrick Haggerty, won Best Documentary Short honors at the South By Southwest (SXSW) Film Festival in Austin, Texas. The 15-minute film is about the life of Haggerty, who chronicled the struggles of gay men with the songs he wrote for the breakthrough 1973 country album “Lavender Country” (and performed with the band of the same name). 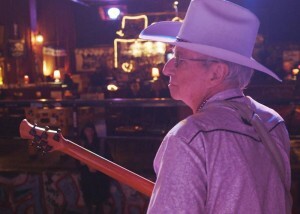 A 2014 re-issue of the album brought Haggerty — now 71, performing with a new incarnation of Lavender Country as well as providing entertainment at area retirement homes — significant media attention, and led to both “The C*cksucking Tears” and an animated documentary short by StoryCorps entitled “The Saint of Dry Creek,” with narration by Haggerty that told about the support and resolve to “not hide” he received from his father. SXSW finished off a busy week of film festival screenings for “These C*cksucking Tears,” which was also screened at the True/False Festival in Columbia, Mo., and Cinequest in San Jose, Calif. Haggerty and the current Lavender Country lineup also played live at both True/False and SXSW, which wrapped up on March 15. Tabersky reportedly has submitted the film to a number of other festivals around the country. “These C*cksucking Tears” was recognized at SXSW’s closing-night awards ceremony in Austin’s Paramount Theatre, hosted by fan favorite and “Don’t Think Twice” director Mike Birbiglia. 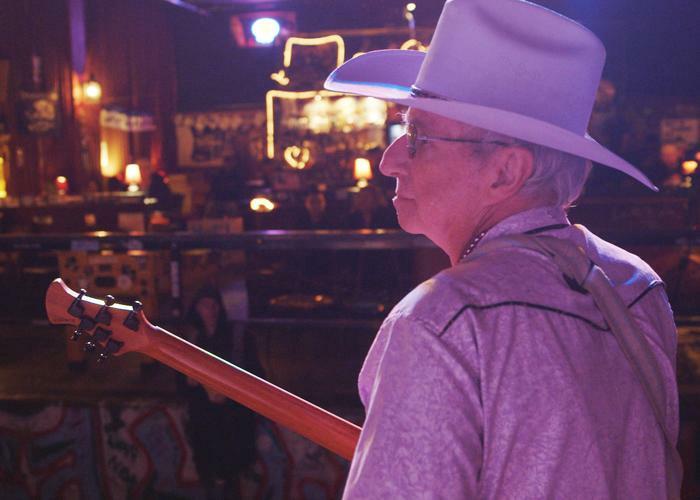 Lavender Country, the band formed, re-formed and fronted by Bremerton’s Patrick Haggerty, will play a 40-minute set at the fabled South by Southwest music festival. Haggerty, now 72, wrote the songs for Lavender Country’s eponymous album, which was released in 1973. Touted as the first openly gay country music, it received limited exposure at the time and fell into obscu rity until it was re-issued in 2014 by an archival label and garnered both critical acclaim and considerable media attention. Haggerty, in a May 2014 Kitsap Sun story, said he considered the album, at the time it was first released, to be “a bootleg, basically. It was a lyrical description of the problems gay men were facing at the time. The film, directed by Dan Taberski, gets its title from one of “Lavender Country’s” songs, “Cryin’ These C*cksuckin’ Tears.” The 15-minute documentary covers Haggerty’s upbringing in rural northern Washington, the making of the album and its discovery 40 years later by the North Carolina record label Paradise of Bachelors. Lavender Country perform a SXSW showcase set at noon March 19 at the Hideout Theatre.